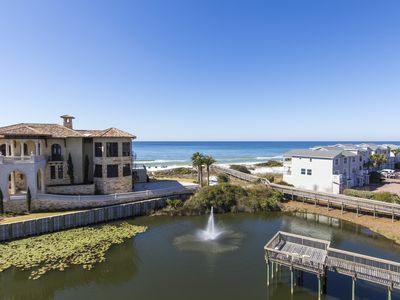 Paradise awaits you at this spectacular beachfront home! 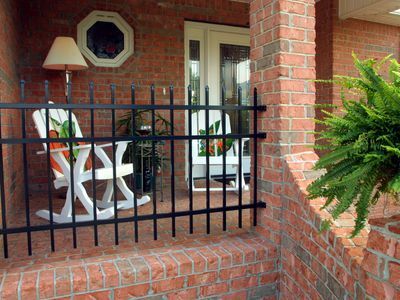 A total interior and exterior renovation was completed in early March 2014; therefore, everything is fresh and new! New flooring, kitchen cabinets, appliances, windows, bedding, furnishings, electronics, totally new bathrooms, and the list goes on and on! 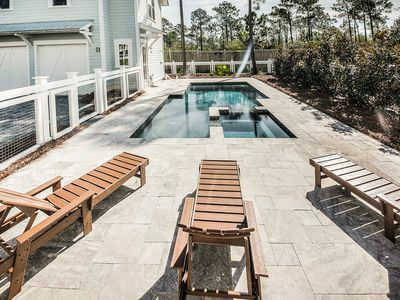 The renovation results are fabulous and if you are lucky enough to stay at this home located directly on the beach, then you are lucky enough! 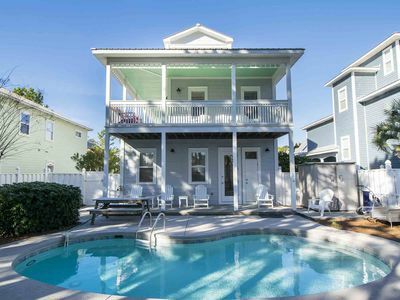 Casa Bella has a total of eight bedrooms, five full baths and one half bath. The main living area features an open concept arrangement maximizing the space between the living, kitchen, dining and sitting areas. 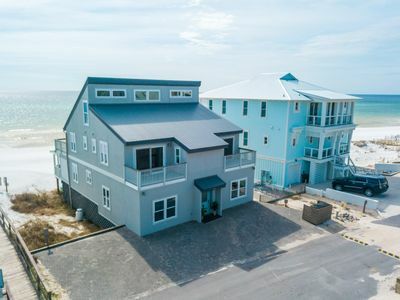 Should you need to work or want to go ahead and secure this home for the following years vacation, there are two separate desk areas in the sitting room overlooking the Gulf. 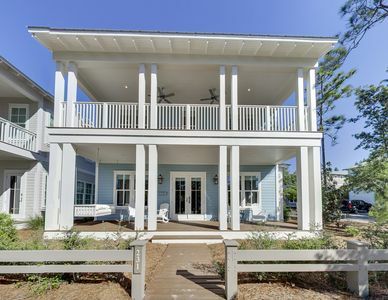 There is also a screened porch, which covers the entire length of the home with a dining table and additional seating – perfect for enjoying the expansive views of the gulf. 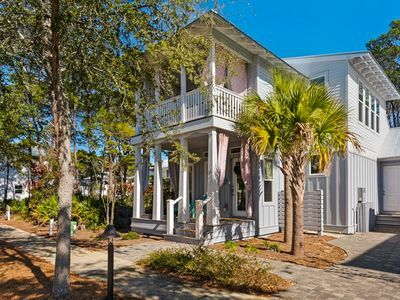 In addition to the first floor screened porch, there is a sunny upstairs terrace located on the second floor extending the entire length of the home. The terrace can be accessed from two of the second floor bedrooms as well as from the hallway. 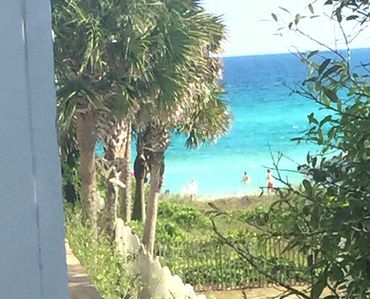 This home sits directly on the beach – you really cannot get any closer! 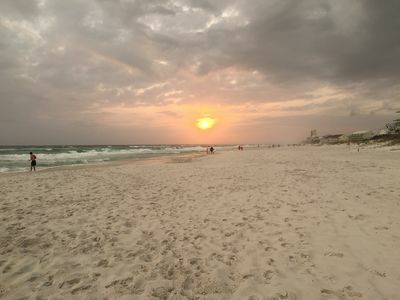 There is absolutely nothing between you and the sugar white sands of the Emerald Coast. 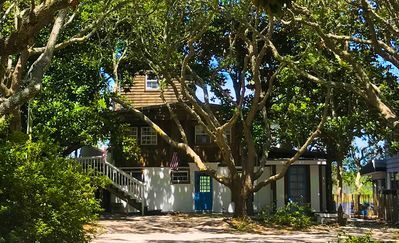 There are even two swings on the bottom level of the house where you can stick your toes in the sand while enjoying the ocean’s breeze or a fabulous sunset! You will enjoy the ambiance, exquisite artwork, lighting and décor this entire magnificent home has to offer! 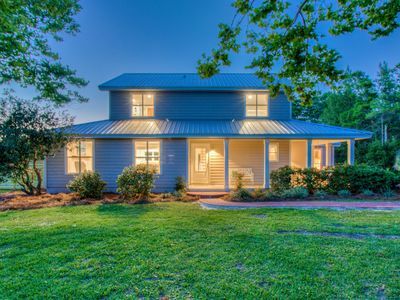 Casa Bella is the perfect name -- “Beautiful Home”! • Large Bedroom w/ 2 King Size Beds. • Bedroom w/ 2 sets of Bunk Beds and Half Bath. 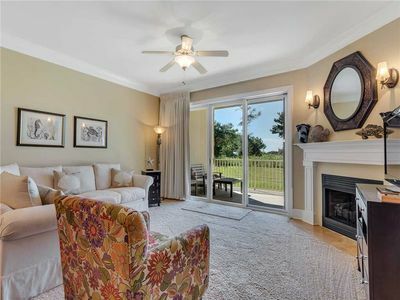 • Large Open Living Area w/ Flat Screen TV. 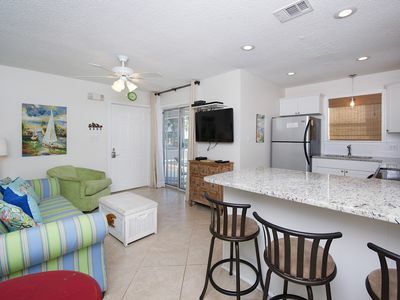 • Completely Renovated Kitchen w/ New Cabinets, Granite Countertops and Appliances. 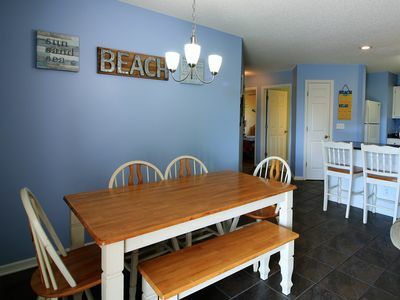 • Sitting/Office Area off Kitchen facing Gulf. 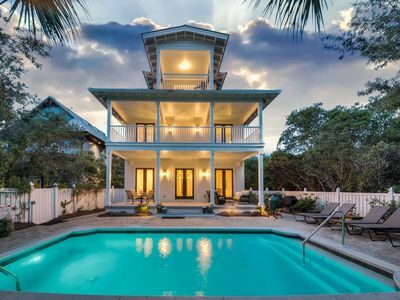 • Screened Porch overlooking Gulf! • Laundry Area with Full-Size Washer and Dryer. 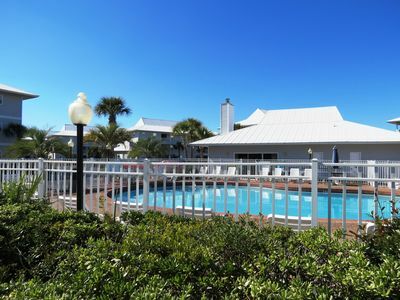 • Master bedroom w/ King bed, access to Private Balcony overlooking Gulf, Private Bath and Flat Screen TV. 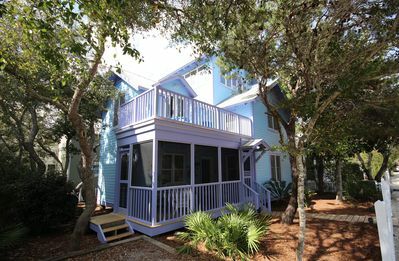 • Master bedroom w/ Queen bed, access to Private Balcony overlooking Gulf, Private Bath and Flat Screen TV. • Guest bedroom w/ Queen Bed, Private Bath and Balcony. 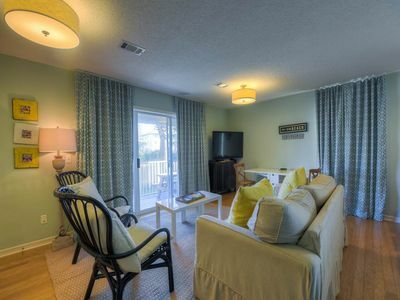 • Guest bedroom w/ 2 Twin Beds, Private Bath and Balcony. 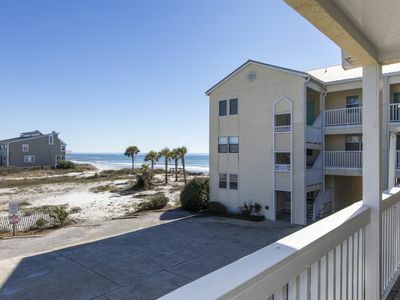 Beachside Villas 1132, 3BR/2BA condo in beautiful Seagrove Beach! 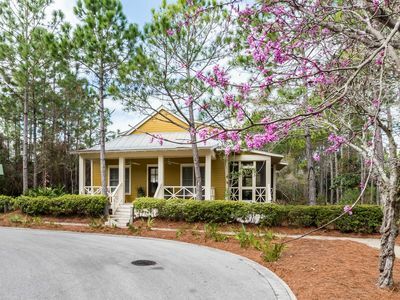 Family friendly condo in quiet SeaGrove! 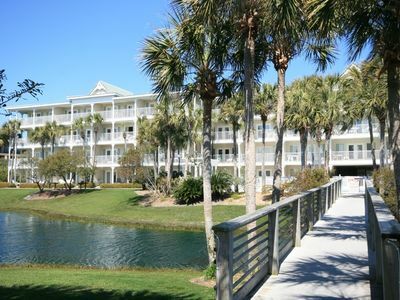 1 Minute walk to the sand! Executive Access Home! Golf Cart! Private Pool! Professionally Decorated!